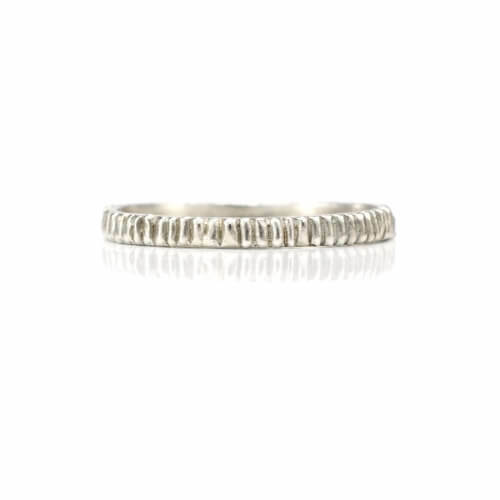 A multitude of characteristics gives this 3.5 mm wide band its true one-of-a-kind value. 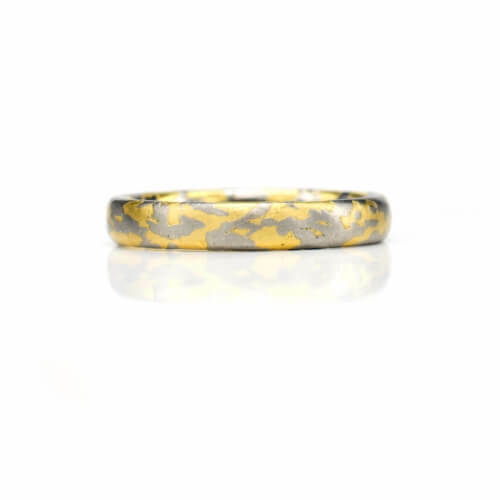 The unique Mokume Craftsmanship has mixed 18 karat Yellow Gold and Platinum with a distinctive layered pattern in a Matte Finish. 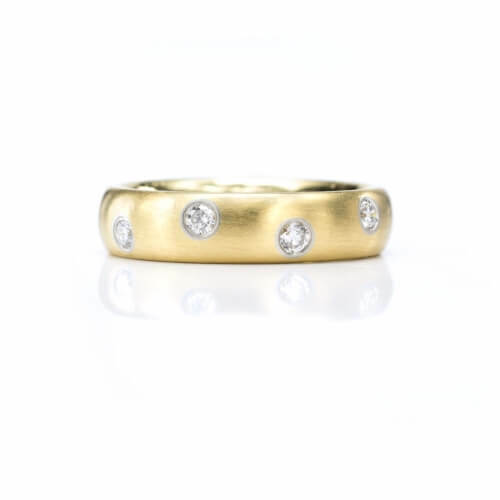 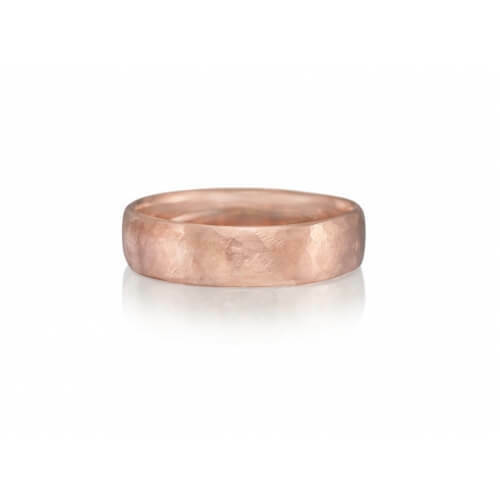 The Light Comfort Fit Style of Wedding Band is crafted in a size 9, however, due to the technique of crafting, this ring cannot be sized.